Saudi Lime Industries quarries have the best Dolomite deposits in the region. Saudi Lime Industries quarries have the best Dolomite deposits in the region. 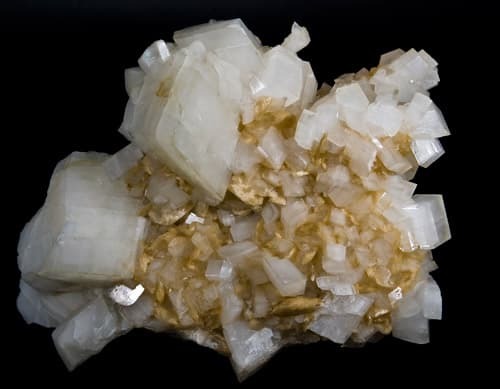 Dolomite is sedimentary or metamorphic secondary origin rock [Ca, Mg(CO3)2], the theoretical composition of pure dolomite is 45.8% MgCO3(21.85 MgO) and 54.3%CaC03(30.4 CaO). Usually the rock is associated with different impurities like clay, silica, iron and aluminum oxides. Hardness: 3.5 – 4 Mohs scale (Harder than limestone) Specific gravity: 2.85. Saudi Lime Industries plants utilize state of the art screening facilities and can produce this nature sourced material meeting a wide range of ancillary products – in a variety of sizes, and a broad spectrum of industrial and agricultural requirements. Applications may include Glass and Rock Wool industries. MgO > 19% Iron & Steel industry, Refractory, Fillers, Glass industry, Magnesium and Industrial Magnesia. MgO 17- 19% Rock wool industry, and Agricultural uses to control soil acidity and reduce the high level of potassium. MgO > 17 % Limited uses.